Electrolysis is permanent hair removal. 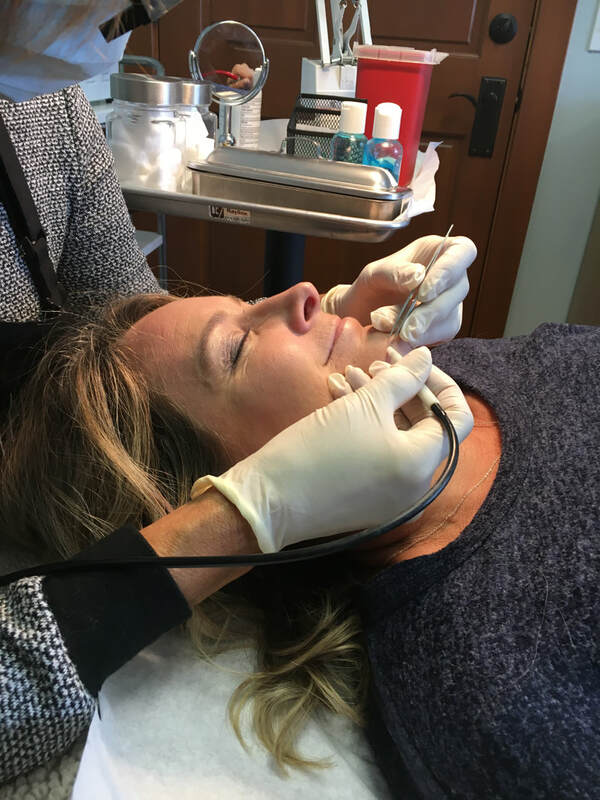 Regardless of the cause - heredity, metabolic, or hormonal conditions - electrolysis will permanently remove unwanted hair and reveal a glowing, more confident you. Does this permanent hair removal method work? Absolutely. Electrolysis is the only method approved by the FDA for permanent removal of unwanted hair. As the hair is treated, regrowth is reduced until the root is permanently damaged, thus not just temporary removal. Only electrolysis provides hair removal and hair elimination. Electrolysis is a time-tested method that was invented more than 100 years ago to remove in-grown eyelash hairs. Most areas of the body can be treated with electrolysis, including the eyebrows, face, thighs, abdomen, breasts, and legs. There side effects of a treatment are temporary. Sometimes, a slight reddening of the skin occurs during or immediately after treatment, but this will only last for a short time. 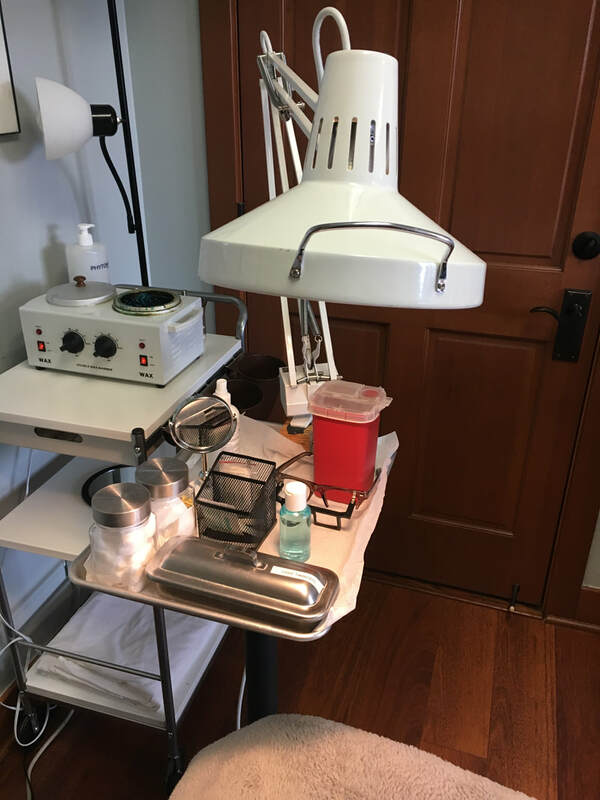 Electrolysis is very safe and, unlike depilatories or bleaches, no harsh chemicals are used. 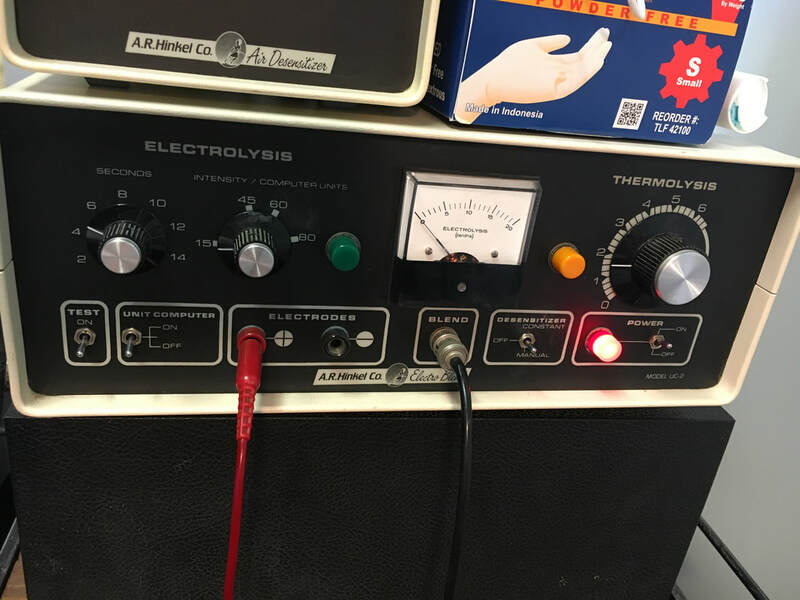 Methods or Modalities:There are three types, or modalities, of electrolysis used today - galvanic (current produces a chemical reaction), thermolysis (short-wave which produces heat) and a modality that blends the two. They all result in effective permanent hair removal. I use the Blend method that combines the short wave and galvanic. How many sessions will it take for me? Many factors influence hair growth, so you will need to plan for several electrolysis visits. The total number of sessions needed to remove hair permanently from an area will vary from person to person. Most clients come once a week or every other week as needed. But the unwanted hair will be gone permanently once the series of treatments is complete. Each treatment lasts between 15 minutes and one hour. We are committed to keeping your experience completely hygienic and bacteria free. We use gloves, disposable probes and other disposable products. Equipment is state of the art using air desensitizer and dual blend method. Your electrologist can go over this with you. with electrical energy directed in the hair follicle. All skin types are good candidates. Laser is light energy attracted to the dark, coarse roots of hair. It works best on body hair. Laser is listed as permanent reduction of hair by the FDA.